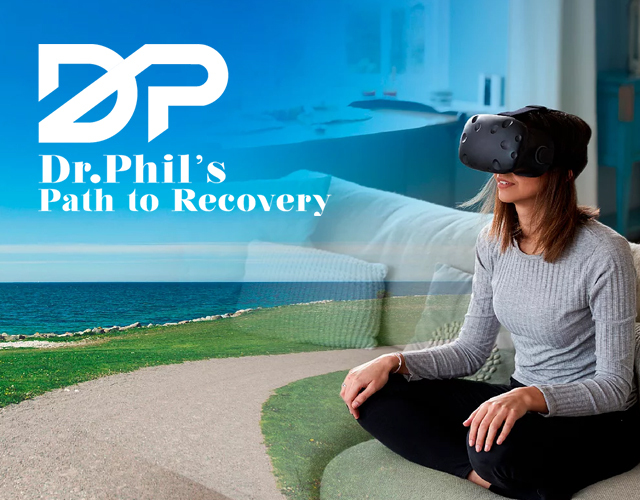 Introduced in early 2017, Dr. Phil’s Path to Recovery combines innovative virtual reality (VR) technology with Dr. Phil’s decades of psychology and mental health experience to change the addiction treatment landscape. Royal Life Centers at Sound is proud to be one of 12 facilities in the country that has adopted this new method of substance abuse treatment. There are two components to the program: a virtual “sit-down” with Dr. Phil and an in-depth workbook that each guest completes. Furthermore, each of the 29 exercises consists of two parts. Once the exercises are completed, guests will share their responses with their individual therapist. This program complements existing inpatient and rehabilitation programming by bridging the structured setting of inpatient rehab and less-structured outpatient treatment. To the end that guests confront their issues, identify the roots of those issues, and work to create and implement lasting lifestyle solutions. Dr. Phil understands the approaches and tools needed for change to take place in the lives of those with addiction. The program’s cutting-edge VR headset immerses individuals in triggering scenarios as Dr. Phil talks them through how to handle these high-risk situations. One example of this kind of setting includes a bar. Other places such as Dr. Phil’s own backyard and show set are also used. Our therapy programming at Royal Life Centers at Sound promotes the building of skills as well as the development of self-awareness, impulse control, and emotion management. Because We Care, Dr. Phil’s Path to Recovery program is just one more tool we’ve made available to our guests. Above all, our holistic approach to addiction treatment puts guests’ well-being and lasting sobriety at the forefront to provide the most effective treatment available and jump-start the process of successful long-term sobriety. Royal Life Centers at Sound treats dependence on cocaine, methamphetamine, benzodiazepines, opioids, and alcohol. Our admissions staff is available at (877)-RECOVERY around the clock. They are waiting to speak with you about any questions or concerns you may have about our programming.